Hey hey! I’ve got a fun freebie for you all today. So, I’m kind of obsessed with watercolors lately (as you probably know if you’ve been around here before). I’ve also been a life-long lover of coloring pages, and I figured it was about time to combine these two loves. 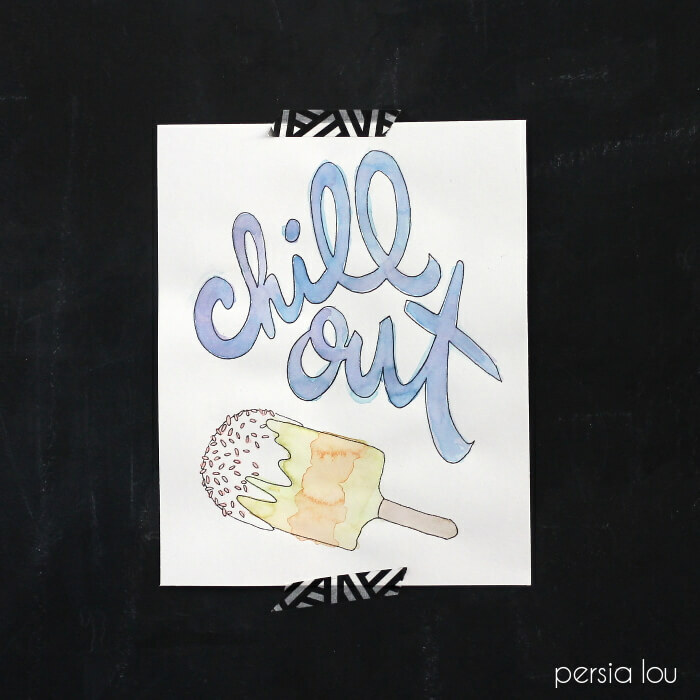 Throw in the summery cuteness of popsicles, and you get the birth of my first watercoloring page printable. Yay! 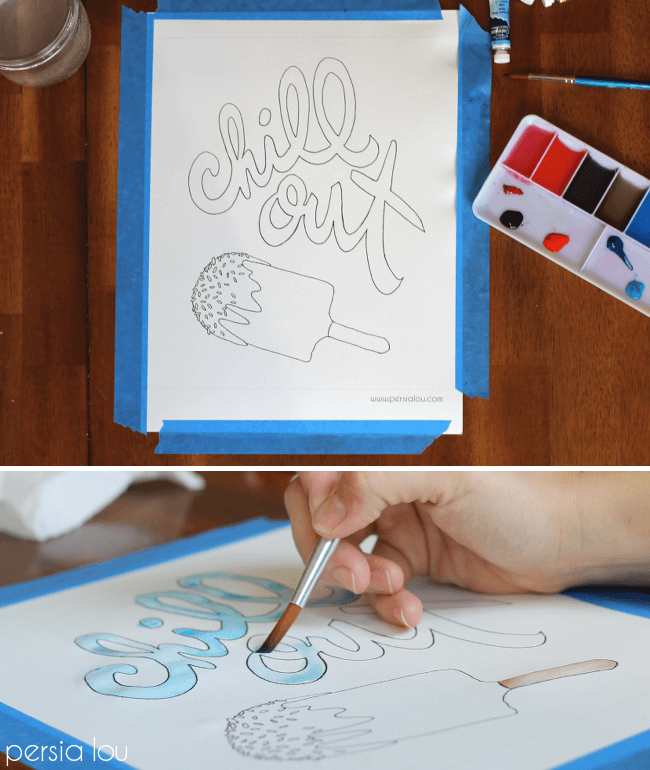 To make your own watercolor art for summer, just print out this little popsicle page on watercolor paper (I used 90 lb weight because I wasn’t sure how 140 lb would go through my printer, but it might work just fine) and use your watercolors to fill it in. 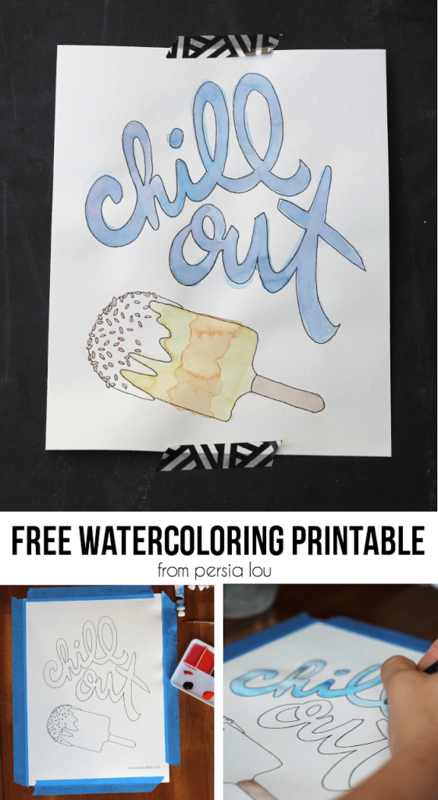 Click on the button below to download your free watercoloring page. This is REALLY cool. I love that you&#39;re making watercolors less intimidating! I think it&#39;d be amazing if you regularly came out with these in different designs! Thanks for this! So cute!